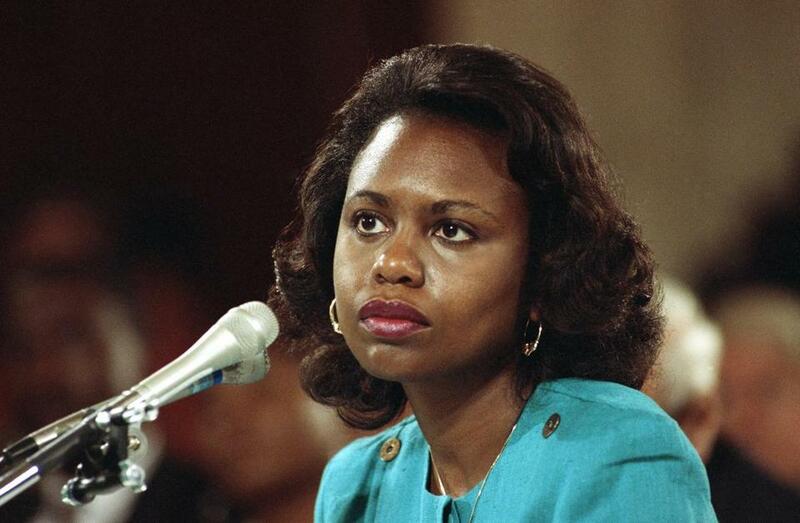 Anita Hill testified before the Senate Judiciary Committee on Oct. 11, 1991. 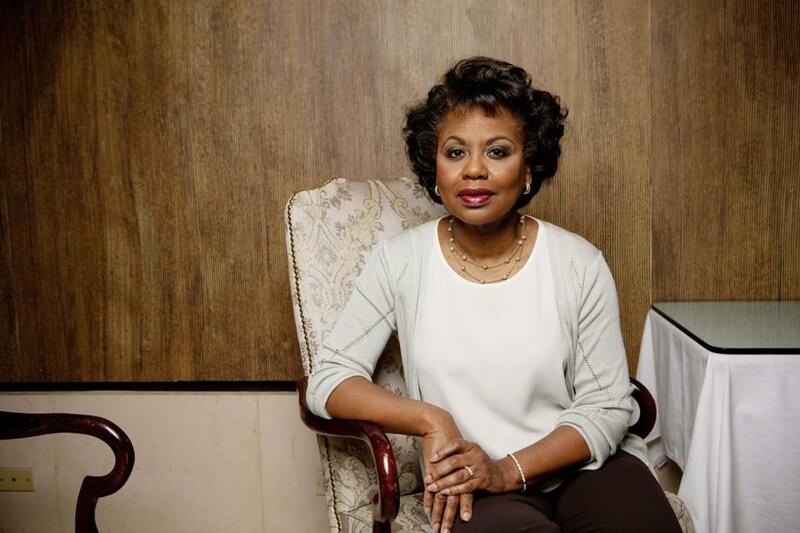 Nearly 27 years after her sexual harassment allegations against a Supreme Court nominee were met with disbelief and attacks on her character, Anita Hill is hoping that in this #MeToo moment, the response can be different. In a New York Times opinion piece published Tuesday, the Brandeis University professor who in 1991 testified to the Senate Judiciary Committee that Clarence Thomas had sexually harassed her when he was her boss, offers advice to that committee as it considers President Trump’s nomination of Brett Kavanaugh. The federal appeals court judge, who is facing his own sexual misconduct allegation, is set to be questioned Monday. His accuser, Christine Blasey Ford, is also set to testify. 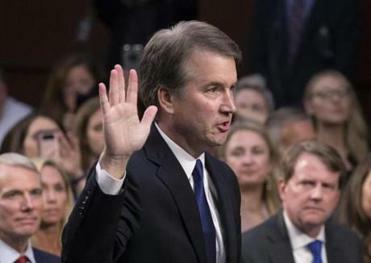 Kavanaugh, whose confirmation to the high court recently seemed all but assured, saw his prospects fall into question last week as an allegation surfaced that as a teenager in the early 1980s he had engaged in sexual misconduct. Ford came forward publicly Sunday in a Washington Post article that revealed more details of an alleged sexual assault on Ford, then about 15, by Kavanaugh, then about 17, at a high school party. The parallels between the current situation and Hill’s own public coming-forward with allegations against Thomas are “impossible to miss,” Hill writes. She says the committee should avoid framing the situation as a conflict between addressing sexual impropriety and giving Kavanaugh a fair confirmation hearing. “Our interest in the integrity of the Supreme Court and in eliminating sexual misconduct, especially in our public institutions, are entirely compatible,” she writes. She says the committee should have an independent and experienced investigative body look into Ford’s allegations, and it should rely on the conclusions of that investigation and on advice from experts — not on politics — to help frame the questions it will pose to Kavanaugh and Ford. Finally, Hill asks that Ford, having shed her initial anonymity, be discussed and addressed by name. “She deserves the respect of being addressed and treated as a whole person,” Hill writes. In 2018, Hill says, that’s no longer an option.